What I love and hate about technology is the minute you have things figured out, there’s an update, upgrade, new build or new version…in other words, it screws things up and you have to recalibrate your brain in order to learn the new version and working with Misfit Mods is no different. My love/hate relationship with such changes is because 1) at my age I like things the way they are and 2) at my age I need things to change to keep my brain healthy. Enough of my technology philosophy. 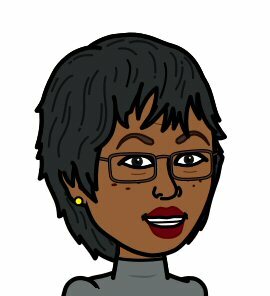 What I want to share in this post are some of the things this grandma learned while playing around with her jailbroken Amazon Fire Stick. Something about the term jailbroken I don’t like. I’ll call it my “modified” Amazon Fire TV Stick. I’m currently using Kodi with the Misfit Mods addon installed on the Fire Stick. I was previously using the Ares Wizard Pulse Build (excuse me if I don’t use the correct lingo) but I replaced it with Misfit Mods. For my first foray into the Kodi arena, I was impressed with Pulse because I was able to access a whole world of entertainment that I couldn’t access through my cable company. 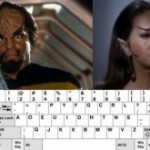 The only problem was it wasn’t very user friendly. I knew over time I would get the hang of it, but it I wasn’t the only person using it. Grandpa was having a bit of a time navigating through it also. He’s less comfortable with some of the new technology than I am. Fortunately, my nephew told me about another addon that was more user friendly, so I replaced Ares Wizard’s Pulse and went with Misfit Mods. What a big difference. Misfit Mods must have created this addon with grandparents in mind. It’s extremely easy to navigate and use. I think my fellow grandparents would like to join me in thanking Misfit Mods for developing a program with us in mind. Even if they didn’t develop it with grandparents in mind, I want to thank them anyway -THANK YOU MISFIT MODS DEVELOPERS! After installing and uninstalling Kodi a time or 3, I gained confidence and decided to set out on a journey navigating through the Misfit Mods addon (or is it build?). As with any software program, the only way to achieve maximum use and comfort is to explore. So my intent here is to share the findings of my exploration with other less adventurous grandparents out there. My exploration into Kodi and Misfit Mods is a slow journey. There are so many features that it will take me forever to go through them all. I’ll be discussing the features that mean something to me and have made my life easier. 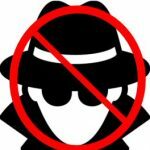 BTW, if you have Kodi installed anywhere, make sure you’re using a VPN. Here’s the Misfit Mod Movie page. Before I begin discussing the features on the page, I’d like to define the term aggregator. I’m not so sure this is what they’re called in the software/app world, but the word seems to fit my purposes. 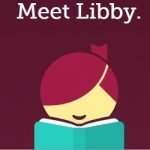 What I’ve learned is that there are several aggregators using their own methods for gathering movies for our viewing pleasure. 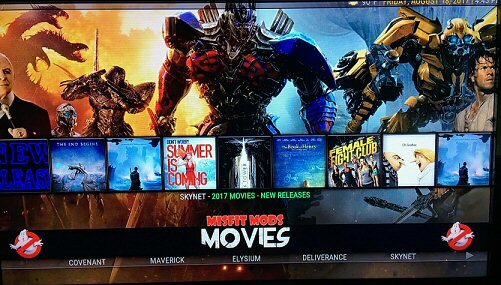 As you can see beneath the word Movies on the home screen image there are the names of aggregators, Covenant, Maverick, Elysium, Deliverance and Skynet. If I were to scroll to the right there are several more. These aggregators pretty much do the same thing. They created a filing system to help us search and locate the movies we want to see. Each aggregator’s filing system is a little different. Some work better than others, some are more user friendly and some seem to contain more movies than others. Once you go through them, you’ll develop a liking for one more than another. My preference is Covenant. It seems to fit my needs. Although, on occasion, when I had a difficult time finding a particular movie, or a movie froze, I opted to use Elysium with much success. The band across the middle of the Movie screen displays icons of popular movies shown through the Skynet aggregator. 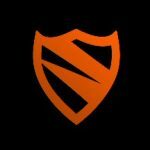 Although before I got a chance to publish this post, Skynet went bye-bye so I had to delete everything I wrote about Skynet and how it worked. Skynet’s departure taught me how to make modifications in Misfit Mods (that will be the subject of future posts). 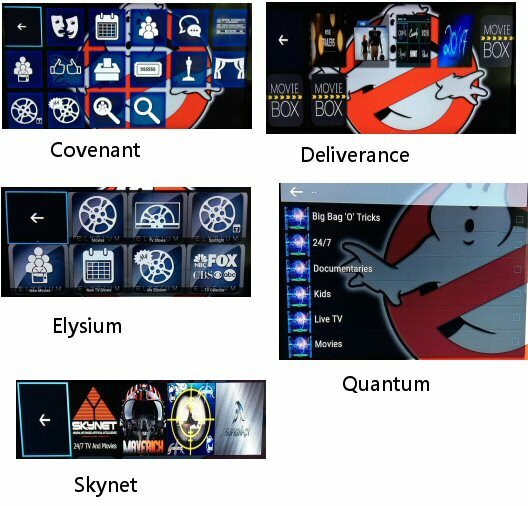 Suffice it to say I was able to successfully replace the Skynet mid-screen movie icon band with Covenant. Gotta love the ever changing technology! As expected, by clicking on a folder you’re presented with further options. Let’s take the first one, Genre for example. Clicking on it will bring you to an alphabetic listing of movie genres. Select the desired genre then choose your movie. Just a note: although the genres are listed in alphabetical order,but the movie titles contained therein are not. As a matter of fact, none of the folders list movies in alphabetical order, so be prepared to do quite a bit of scrolling. 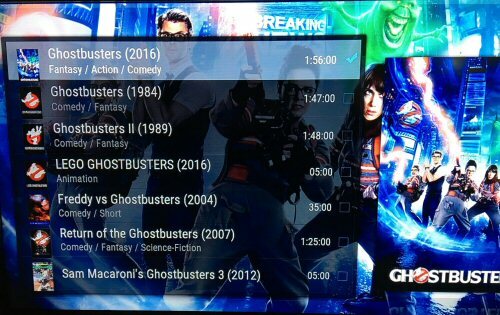 To select a movie, I decided to use the Search function and searched for Ghostbusters (my grandson’s favorite movie). There I found a non alphabetized listing of movies. Upon highlighting a movie, its artwork appears both in back of and to the right of the title. The artwork is helpful when there are several movies with the same or similar titles. 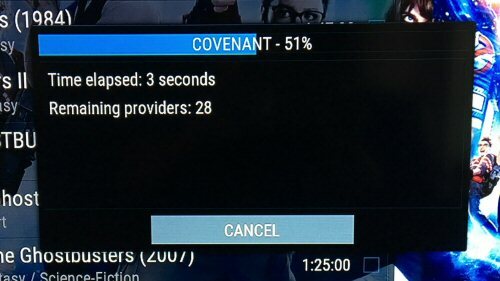 After clicking on Ghostbusters Covenant went about searching for and locating all available movie providers. This can take a minute or two depending on internet speed and number of providers. 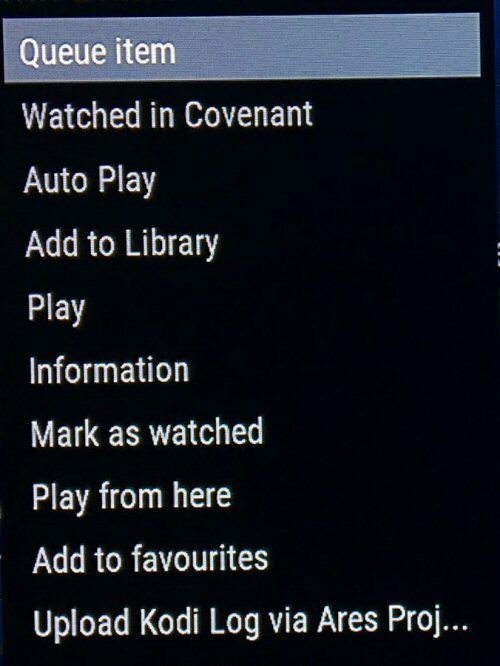 Once the streams are located, you get to choose one to play the movie. The movie stream names are appended with letters and/or numbers that gives an indication of the movie quality. So far I’ve stuck with 1080P or HD. Note: Sometimes 1080P streams ask you to pair your device by going to a website and clicking “pair.” The first time I received the request to pair, I followed the instructions and paired. The second time I came across such a situation, I didn’t pair the device and the movie played anyway. Play around to see which setting work best for you. There are SD, HD, 1080P, CAM and a host more. I don’t know what they all mean but I do know that CAM usually isn’t great quality. It commonly means someone has recorded the movie on a camcorder and streams it. From what I understand this happens often with brand new releases. The best quality movies are those that have already been released to DVD. If you previously watched a movie and stopped it prior to its completion, the next time you go to watch it you’ll be presented with the option to resume where you left off or start at the beginning. We’ve watched Ghostbusters a few times, but each time we MUST start from the beginning. Keep in mind the movies are streamed from a remote location. 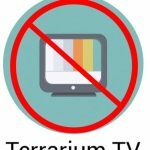 None of the movies are downloaded to your Fire TV Stick or television set. Since its streaming, there are times when a movie may freeze or take a while to display. 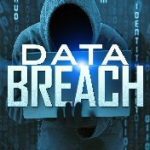 Things like your internet connection, number of viewers accessing the stream and even time of day (whether it’s a particularly active time of day) may affect viewing. If a movie freezes while streaming (as I mentioned earlier), just find a different stream or different aggregator. This doesn’t happen often, but it does happen. Now I don’t know what all of the menu items do and maybe when I figure them out I’ll write about them. “Queue Item” and “Play” are obvious, but for me the “Information” and “Add to favourites” options are golden! By selecting Information, you get a movie synopsis. All too often I see titles for movies and I have no clue what they’re about. The Information option saves me from playing movies only to stop them after 5 minutes because it isn’t something I want to see. 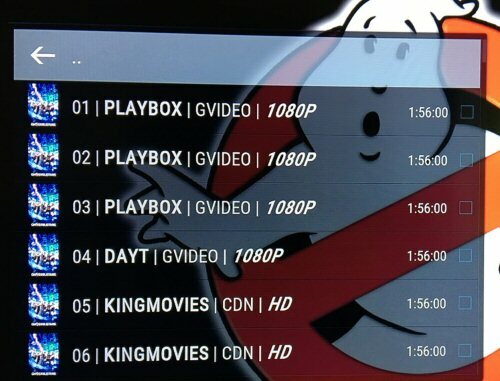 The other sweet option is “Add to Favorites.” To quickly access movies like Ghostbusters, I saved it to my favorites. Not to be confused with “Add to Library.” I added a couple to library and never found them again so Favourites is my repository of choice. To find movies saved in Favorites, scroll over to the System page (it would be nice if it were located on the Movie page, but that’s a minor complaint). Favourites is one of the sub menu items. 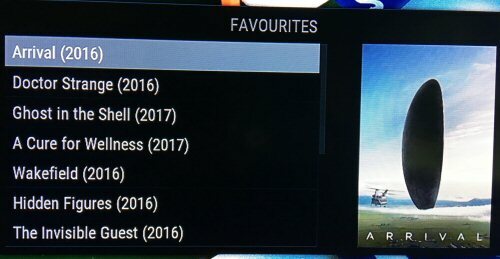 One scroll to the left brings you to the System page, and in my version of Kodi, Favourites is the right-most sub menu. There you will find movies you saved for later viewing. Again, as with some of the other options in Covenant, I’m not sure what it all means, but that’s ok. Probably by the time I figure it out things will have changed. The lesson here is to always investigate to see what’s available even if you don’t understand it all. 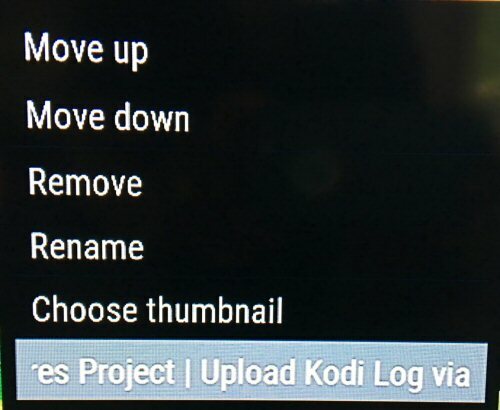 A few of the menu options mentioned here today has made my Kodi movie viewing life easier. Hope it does so for you as well. I do know that adding Ghostbusters to my Favourites has made my grandson happy. This is already a long post, but I do want leave you with a few screen shots of the main filing room for a few of the aggregators. As you can see the filing rooms come in various flavors. I’ve only shown 5 here. There are many, many more aggretators out there. My advice is to find two or three that you like and stick with them. Too many options only cause confusion. Because there are so many features and options, I make notes and jot them down. The good thing about jotting my notes down in a blog post is that I’ll be able to find them later when I need them. I hope my notes prove to be helpful to you too. How do I get the episode to play continuously without u having to select play each time an episode ends? Tabitha, I guess it depends on which app you’re using. I recently watched an Amazon Prime series on the firestick and I didn’t have to press play at the end of each episode to watch the next. How do I find my favourites in misfit mods? To find favourites, navigate over to the Systems page. It’s a sub-heading under System. You are more knowledgeable than a whole lot of people I personally know. Kodi is quite an entertaining application, one could get lost in all the content it offers. Kodi could be pretty intense, but it’s a lot of fun discovering what it can do.